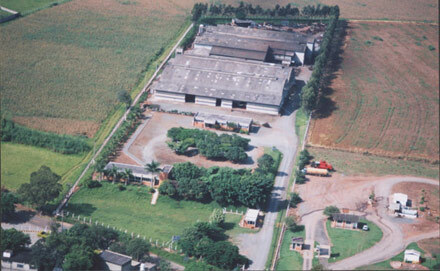 The INDÚSTRIA DE MÁQUINAS CHINELATTO LTDA began in the year 1962 by its founding partner Mr. Onofre Chinelatto. It is located in the city of Limeira, interior of the state of São Paulo, to the edges of highway Limeira-Mogi Mirim (SP147) height of km 104,7 in a land of 33.000 m2 with good constructed area. - Heat Treatment of Stress Relief and / or blasting. The FOUNDRY produces parts in gray and ductile cast iron, for many different applications and degrees of complexity. The foundry produces parts for manufacturers of machines, manufacturers of pumps and other applications.. The castings can be delivered in the raw state (with or without paint) and even machined according to the needs of each client. The furnace is able to merge parts with maximum weight of 9,921 lb.